Dan Leadbetter was a Staff Writer and Features Writer for DealNews. As a long time automotive fanatic and car audio enthusiast, Dan's favorite question is, "You're not going to leave it stock, are you?" That being said, Dan is always looking for the next great thing that'll make your car that much greater. Before coming to DealNews, Dan worked as a magazine editor and photojournalist for several monthly automotive titles for Primedia, McMullen & Yee Publishing, and Challenge Publications, as well as co-founding AutoSound & Security Magazine and Smart Electronics Magazine. An early adopter in multimedia during the mid-90's, Dan was also a writer on several interactive multimedia music CD titles, including "Herbie Hancock Presents Living Jazz." 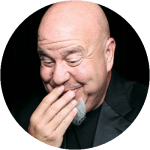 Dan enjoys comedy (he was a runner-up in "Showtime's Funniest Person in America Competition," Northern California division in 1982), playing drums, watching horror films, fine cigars, and Absinthe. Changing your oil is an easy way to maintain your car, but the options can be overwhelming. What's the difference between regular and synthetic, and what do all those numbers on the label mean? We cut through the confusion of buying motor oil. VIDEO: Do We Need More Drone Regulations? What About Louis?! Lawmakers are considering tighter regulations on drones and may require drone owners ("drone-ers") to register their tiny remote-controlled flying machines with the government! In this brief, delightful video, our panel of experts discuss if this is even feasible. Then we say goodbye to Louis, who is off to bigger and better adventures! VIDEO: Would You Text Walmart for Directions to the Doritos? During TechCrunch's most recent Disrupt Hackathon, a group of coders put together a text-bot that will answer your questions about the wherabouts of items in your local Walmart. In this video, our panel of experts discuss if such a service is even necessary. VIDEO: Is the iPad Pro the Future of Computing? Apple has announced its iPad Pro — a larger, more powerful tablet. In this brief, delightful video, our panel of experts ask: Is the iPad Pro is going to be the thing that changes the perception of tablets from "fun pads" to serious business machines? VIDEO: Do You Use Ad-Blocking Software? With the upcoming release of iOS 9, iPhone users will be able to install ad-blocking software onto their phone's Safari web browser. In this brief video, our ad wizards talk about the pros and cons of blocking ads! VIDEO: What's With Everyone Making Their Own Original Content? According to Variety, Apple is going to invest in making some original shows, presumably for exclusive streaming on its Apple TV. In this brief video, our TV-loving panel asks: What's with everyone making their own streaming content, these days?! VIDEO: Should Video Games Be in the Olympics? Video games are only rumored to be under Olympic consideration, but British bookmakers are already taking bets on what titles will make the games. In this brief video, we discuss whether we want to see Counter-Strike, Dota 2, and Hearthstone in the Winter Games! VIDEO: How Do You Feel About HBO Paying for Sesame Street? HBO will be paying for the next five years of Sesame Street, in exchange for a nine-month exclusivity window to new episodes; after that, PBS can show them for free, as usual. In this brief video, our puppet-like experts discuss if this HBO/Sesame Street deal is bad news! VIDEO: Columbia House Is Bankrupt! Will You Miss It? Columbia House has just filed for Chapter 11 bankruptcy, so say goodbye to getting 13 CDs for just a buck! In this brief video, our mail-order experts eulogize the passing of this old friend. VIDEO: Are You Going to Miss Google+? The news from Mountain View is that Google+ will no longer be the required method for logging in to Google services. This means that you'll no longer need to create a public G+ profile to access YouTube, Gmail, or Photos. In this short video, will our experts lament or dance on the grave of Google+?